BELLVILLE — For the second season in a row, Clear Fork will take on Lorain Clearview in the Ohio High School Athletic Association football playoffs. The Colts advanced to the second-round with a 20-6 win over Bryan last Saturday at the Colt Corral. Lorain Clearview beat Highland, of the Knox-Morrow Athletic Conference, also on Saturday, 30-16. It was Clearview’s first playoff victory in 15 years. Last year, in the first round of the playoffs, Clear Fork dominated Clearview, 44-0. The next week, the Colts lost to Bellevue, ending their playoff run and their undefeated season. 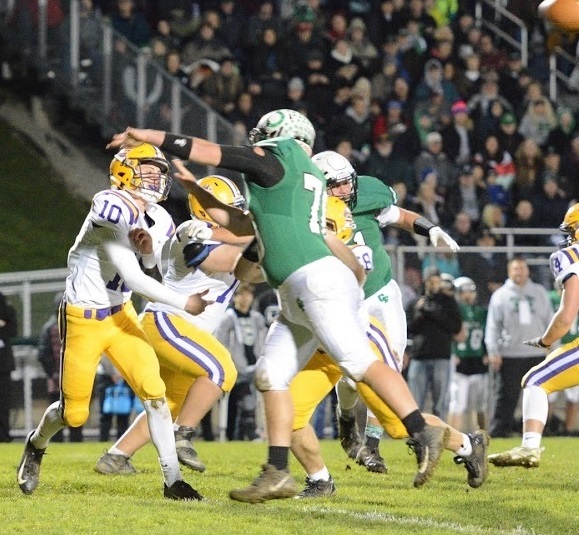 Last Saturday vs. Highland, the Clearview rallied from an 8-0 deficit to win 30-16 in the Division 4, Regional 14 regional quarterfinal, setting up this week’s rematch at Wooster High School’s Follis Field. Game-time is 7 p.m. Saturday. Follis Field is at 515 Oldman Road in Wooster. The winner of this week’s game advances to the regional championship game Nov. 14 to take on the winner of a Saturday game between Sandusky St. Mary’s Memorial and Van Wert. That game is at Lima’s Spartan Stadium. St. Mary’s )10-1) beat Pepper Pike Orange 48-13 in Week 1 of the playoffs. Van Wert (9-2) was a 33-14 winner over Huron.